Updated Sunday January 25, 2015 by Tustin Western Little League. In 1960, Tustin Western and Tustin American Little Leagues, now merged together as simply Tustin Western, both received their charters to play Little League baseball in 1960. Russ Houlihan was the founder and first President of Tustin American. The founder and first President of Tustin Western is unknown at this time. Both leagues boundaries were formed using the school boundaries of Hewes and Columbus Tustin middle schools. During the same year that TALL and TWLL were founded, Tustin National and Tustin Eastern formed. Tustin National's boundaries were formed using the Currie Middle School boundaries, while Tustin Eastern's boundaries were formed using Utt Middle School. Tustin Western played their games at Columbus Tustin Middle School. Tustin American played at the current league location of Hewes Middle School. Tustin National played at Currie Middle School. Tustin Eastern played its games at Tustin Memorial Elementary School. In 1974, Tustin American won its first District 30 all-star tournament, and lost in Sectional play to the eventual division winner San Bernardino/Rialto. It was the first step of success for the relatively new leagues, but 1970's powerhouse Northeast Santa Ana went on to win 8 of the next 11 District titles. Source: District 30 website. In 1980 during a period of economic turmoil, Tustin American's registration fell to just 130 players. Mike Hawkins, manager and Board member at the time, decided to call the District 30 Director, Russ Houlihan, to find out if there was a possibility that TALL could merge with TWLL. Russ, being the founder of TALL, was not keen on the idea. According to Mike, "it was just too difficult to run a league with just a few teams and it would make it even more difficult to compete in all stars." Mike didn't let it go at that and decided to call the Tustin Western President Gary Higgins to determine his interest in merging because Tustin Western was the next smallest league with just over 200 players. Gary was interested and both agreed to merge with Tustin American dropping its charter. 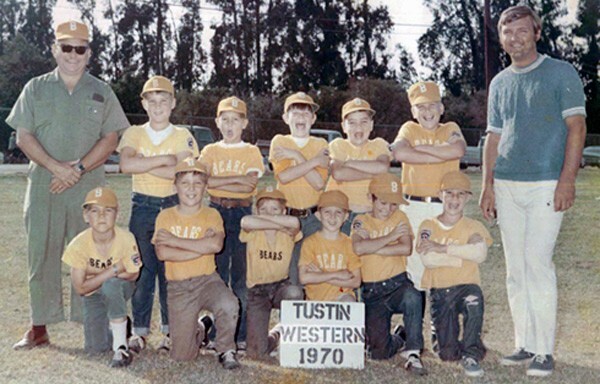 In 1985, the new Tustin Western Little League made an incredible run in all stars with some talented players such as Ben Munoz and Shawn Green (eventual pro player) and relatively young coach Tim O'Donoghue. TWLL won the District 30 and Section 5 titles winning with big scores in nearly every game. TWLL was defeated in the divisional semi-final game vs. Mexicali after suffering an injury to its best player in the catcher position. In 1993, TWLL won the District 30 title again, and lost in the Section 5 championship to South Mission Viejo. They also won the District 30 title in 1998, but were eliminated in the Section 5 tournament in just 2 games. In the 2000's, TWLL experience its best decade ever winning District 30 championships in 2003, 2004, 2007, and 2009. In 2003, pitchers Gerrit Cole (UCLA) and Alex Dove along with Manager Tom Falbo took their teams to the Section 5 championship game before losing to Saddleback 2-1. In 2004, manager Butch Burnett won the District 30 title and lost in Sections to the eventual winner Aliso Viejo. It was a remarkable finish for a team that did not have outstanding athletes, had three 11 year olds on the team, but played great together as a TEAM with different players coming up big in every game. In 2007, TWLL had one of its best teams ever with Noah Stillman, Sean Pihl, Connor Hoffman, and Austin Anderson and won TWLL's 2nd Section 5 title and made it to the championship game of the division. Dan Anderson was the manager. Those players went on as 13 year olds to finish 2nd in the Pony World Series the following year. In 2009, the TWLL all star team accomplished the exact same feat under manager Pat Doherty by making it to the championship game of the division. That same team in 2009 went on as a travel team to win in Cooperstown in August of that year against 96 of the best teams in the country.